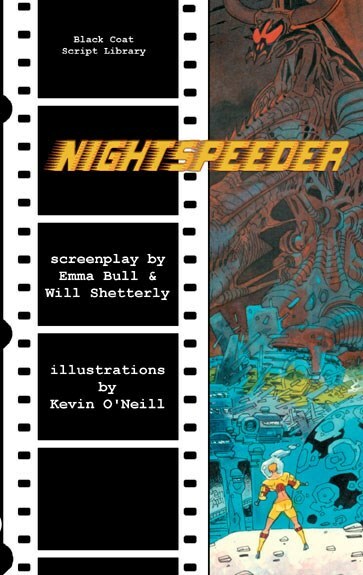 NIGHTSPEEDER by Emma Bull & Will Shetterly - cover, comic-book story and illustrations by Kevin O'Neill. US$15.95/GBP 9.99 - 5x8 tpb, 144 p. - ISBN-10: 1-932983-05-8, ISBN-13: 978-1-932983-05-0. A rollercoaster science fiction saga about the dangers that lurk in hyperspace.